More than 30 years’ experience in advising businesses and hotels in the Dominican Republic on labor and employment issues; recently negotiated a collective labor agreement for a very important client with a 1,600+ member union. Former professor of Labor Law at the Universidad Católica Nordestana and at the Universidad Autónoma de Santo Domingo. Legal advisor for the last 34 years to the most important real estate projects in Las Terrenas and Samaná areas. Legal counsel since 1994 to the Boxing Federation of the Dominican Republic. Pontificia Universidad Católica Madre y Maestra, LL.M. in Labor Law, 1998. Pontificia Universidad Católica Madre y Maestra, LL.B., 1982. Ranked as a recommended lawyer in The Legal 500 Latin America survey. Founding member of the Asociación Humanitaria Domínico-Francesa. President of the Boxing Association of the Duarte Province, and national vice president of the Dominican Boxing Federation. Founding member of the Dominican Bar Association. 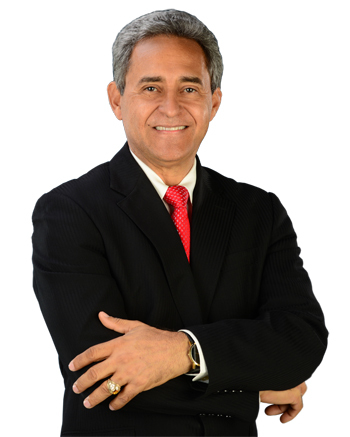 Member of the Board of Directors of the Duarte Savings and Loans Association (Asociación Duarte de Ahorros y Préstamos).